The CyberPower BP36V60ART2U (36V) Extended Battery Module (EBM) with DC plug-n-play connections and Fast Charge Technology provide extended battery run-time during power outages for select Smart App Online UPS models. Up to 10 EBMs can be added and fast charging times are maintained thanks to each EBM having a built in battery charger. The typical charging times of 5 hours for the OL1000RTXL2U and OL1500RTXL2U are maintained whether there are 1 or 10 EBMs installed. 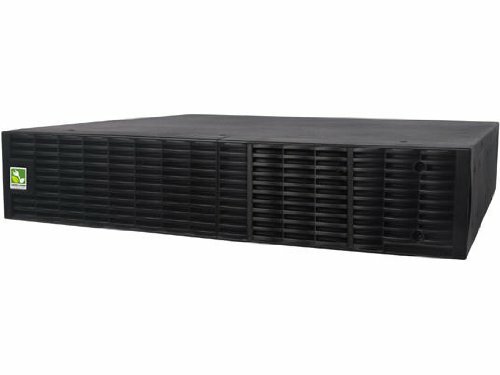 Each EBM takes up 2U of rack space and can also be installed in a tower form factor to match the UPS. A DC plug-n-play power connector makes it easy to daisy-chain additional EBMs to a UPS system. A Three-Year Warranty ensures that this extended battery module has passed our highest quality standards in design, assembly, material or workmanship.